Adds the gun Rick Deckard uses in the classic movie Blade Runner (1982). 22 May - I've added RH Ironsights patches to the File section under Miscellaneous. Install the version of the main mod you want FIRST then install the corresponding IS patch AFTER. Also added an IS compatible version of the Optional Red Light reload animations under Optional. weapon. A balance between sight/cross-hair line up & 3rd person grip is tricky. Adds Rick Deckard's gun from the movie Blade Runner (1982). The gun can be found in the Capitol Post building at L'Enfant Plaza, in a case on the reception desk. The case can also be picked up. See gallery for location images. As a sci-fi fan with an interest in weapons I just had to make Deckard's gun from Blade Runner (1982), one of the most iconic film handguns. It manages to look both futuristic & comfortably like something a detective from a noir mystery would wield. Most suitable for Blade Runner, itself a Chandleresque tale in a future world. I actually made the model some time ago but have since upgraded it several times as my model & texture skills improved. Been meaning to release for a while. The weapon has gun shot effects based on their movie world sound plus custom icons & display case. I also made an Optional Red Light Reload file so that the green lights turn red on reloading. It's likely that the movie intended the weapon fired some unique fictional ammo but I set it to use (custom added) .44 S&W Special as the prop was built from a .44 Special Charter Arms Bulldog. The prop's upper Receiver was made from a Steyr Mannlicher .222 Modell SL rifle which would use .222 Remington rounds (you can see this marked on the bottom of the gun as it includes the Mannlicher's magazine) but those are rifle rounds which would be out of place for a pistol. 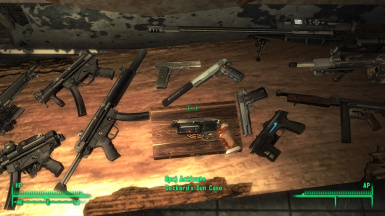 I did give Moira & Flak & Shrapnel supplies of the .44 S&W Special to sell. 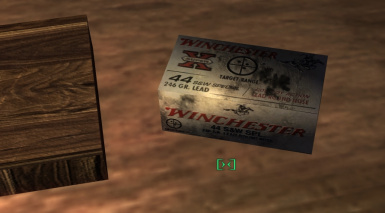 I provided the vanilla .44 magnum ammo version as Players may want a more easily available vanilla ammo. FOSE or Non FOSE versions only change the way the gun case is picked up. FOSE versions - Use the Grab key (Z) on the gun case & then activate (SPACE) to add it to your inventory. Non FOSE versions - Go into sneak mode/crouch (Ctrl) then activate the gun case (SPACE) to add it to your inventory. 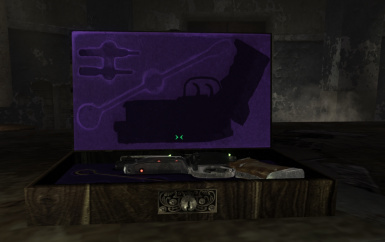 Both versions' placement - Drop Deckard's gun case from inventory & use the grab (z) key to position as normal. When in desired position activate the case (SPACE) to lock in place. Once locked in place the case can be opened & the gun removed or replaced as normal. Placing the gun back in the case repairs it since the case contains cleaning tools. There are Two versions of this mod to choose from, .44 Smith & Wesson Special & Vanilla. & Flak & Shrapnel in the Rivet City market to stock. 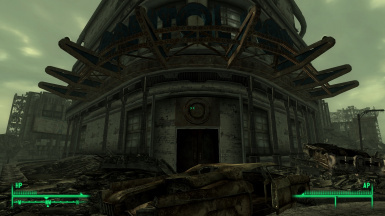 The vanilla version is set to use .44 ammo (magnum) & has no requirements other than Fallout 3 of course. 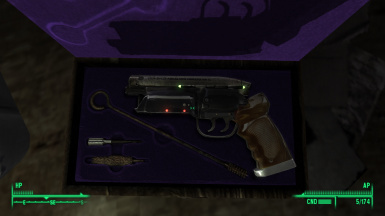 This Optional pack allows the Green lights on the wand like device connected to the cylinder to turn red when reloading. This is more a fun nod to Fallout New Vegas where the lights turn yellow on reload as I can't find any evidence that they change in the film. I chose to turn the lights from green to red as it shows up more than green to yellow. These modified animations work exactly the same as vanilla assets other than allowing the lights on Deckard's gun to change. These animations are also compatible with my Speedloader Glitch Fix, though they should be installed AFTER that mod. Otherwise you will overwrite the light changing functionality. Download manually, right click on the archive & "Open With" Mod manger (FOMM/NMM). The mod will now open in your mod manager's Package Manager, left click on it & select "Activate" to complete the install. To uninstall, open your mod manager, open the Package Manager, left click on the mod & select Deactivate. already named Data). Say yes when asked to overwrite. Don't forget to take care of archive invalidation. The mod is now uninstalled & removed. Optional Red Light Reload is now uninstalled. 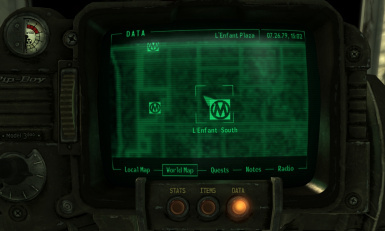 mod making changes to that location there could be possible conflicts. 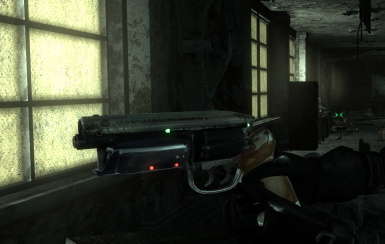 These modified animations work exactly the same as vanilla assets but also allow the lights on Deckard's gun to turn red on Reload. They will clash with any mod that also changes those files like an animation replacer. If you remove the gun or have just placed it in the case then save, exit & reload, the case will momentarily be confused as to whether it's open or not. After activating it will return to proper function. I'm currently looking into the issue but did not think it serious enough to delay release further. Q: The textures of the weapons are strange & seem to take on the look of the surrounding objects, what's up with that? manager make sure to toggle Archive Invalidation off & back on again AFTER installing this mod. But ONLY USE ONE METHOD as using both together can cancel each other out. 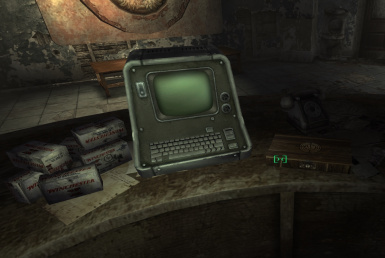 Q: Will you convert this to New Vegas? A: No, simply because I don't own New Vegas as I've yet to overcome my dislike of STEAM. Since I don't own the game I'd be unable to support the mod properly. Q: I can't pick up the gun case, what's wrong? A: Make sure you are using the correct version of the mod. There is a version for users of FOSE & another for non users. Both versions allow it to be picked up but use different methods, see above section for details. 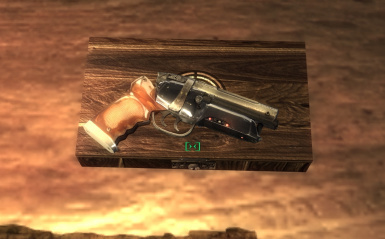 Q: I use an animation replacer & the unique reload animation for revolvers has changed, why? A: You must have installed the optional Reload animation from this mod & it's overwritten the other mods file. The custom Reload from this mod is based on the vanilla movements. Uninstall the optional animations or reinstall the other mod to replace them. 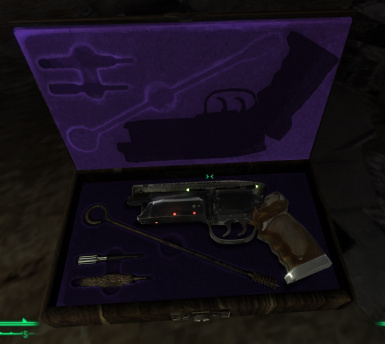 Q: The speedloader appears when first holding the gun, then disappears once fired, why? 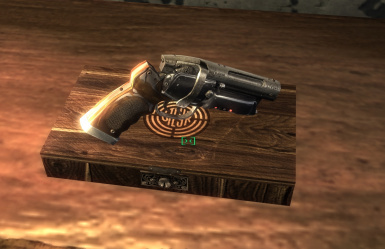 A: This is a vanilla bug with revolvers & is caused by faulty settings in some of their animation files. If you use the Optional Red Light Reload from this mod, install it AFTER the Speedloader Glitch Fix. Q: The speedloader is invisible when you reload while sneaking/crouching, why? A: This is a vanilla bug with the swing out cylinder revolvers & is caused by faulty settings in their sneak animation (sneak1hpreloade.kf). It does not affect the .32 break open revolver sneak animation. It's a quick animation & in crouch mode it's missed by most people. I can identify the fault but don't yet possess the skills to fix the speedloader animation in Blender. Q: Do androids dream of electric sheep? Thanks to the makers of Paint.net & DXTBmp, my tools of choice for textures. Thanks to the makers of Blender, I've finally got my head around it & am making some cool things with it. Thanks to the makers of Audacity, a wonderful & free program that allows one to record & edit sounds easily. Without which I'd have been unable to give the weapons their custom sounds. Thanks go to Bethesda for a great game with the fantastic ability to be modded! Thanks to the original prop maker & designer of Deckard's gun which is one of the most iconic weapons in movies, you've done a man's job sir. Thanks also to the Nexus (6) for providing a safe home for mods, modders & mod users. me so deeply saddened that there are no words to adequately describe it. From the Earth we come, to the Earth we return, to live again as a part of something new.